But the origin? ~ NZ or Australia?? apparently its a dispute between the 2.. Reader Digest mentioned that it originated from New Zealand... but AUSSIEs beg to differ?? What's your vote?? Australia or New Zealand?? Kiwi or Aussie... we thanked you for PAVLOVA!!! 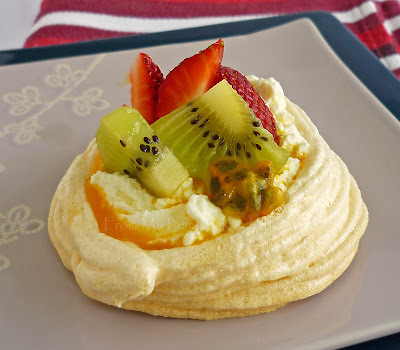 Check the meringue should be dry to touch.. 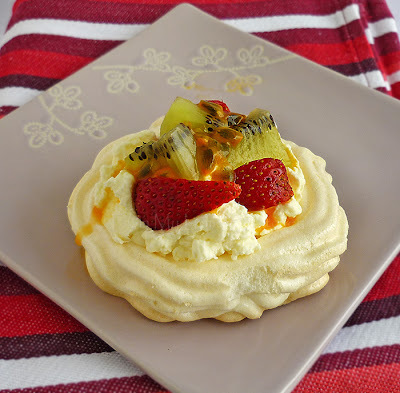 I adore pavlova! so light and fluffy, yet rich and creamy. What's not to love? I think they're Australian, but of course, I'm partial. This looks delicious! 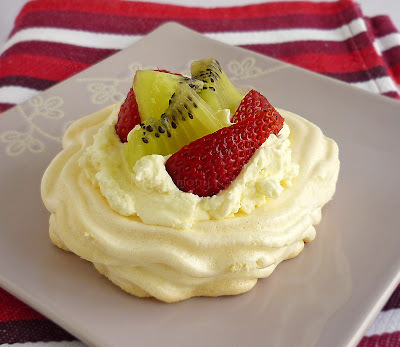 And the Australian who 'created' Pavlova ~ was a chef from Perth..